More fun for Valentine’s Day. 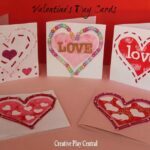 This is part of our 31 Days of Love series, that I have grouped into Valentine’s Day Cards, Valentine’s Day Decorating ideas, Valentine’s Day Treats for you to browse easily. 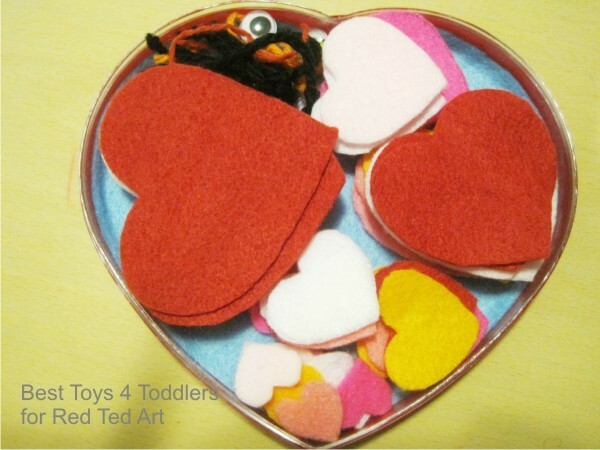 Today we share a cute Felt Heart Board Set! 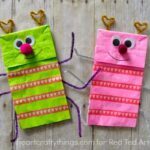 It’s a pleasure to share today’s idea with Red Ted Art readers! My name is Mihaela and I’m mum behind Best Toys 4 Toddlers blog. Our motto is: Playing is serious business! and we love to sneak in a bit of learning in creative playtime! 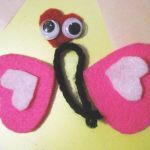 Today we would like to share with all of you a simple way to create lovely Valentine’s day themed felt board set for your kids. 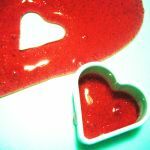 Surely they will continue to use it and make new creations long pass the Valentine’s day! 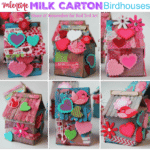 Trace the box on red contact paper and cut 2 heart shapes for top and bottom of the box then apply to box. Use red masking tape to cover sides of the box from the outside. 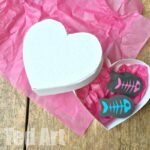 Use box to trace another heart, this time from blue felt sheet, this should be glued to the bottom of heart shaped box as a tiny felt board. 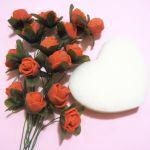 Next, use red, orange, pink and white felt hearts in different shapes to add to your felt set. 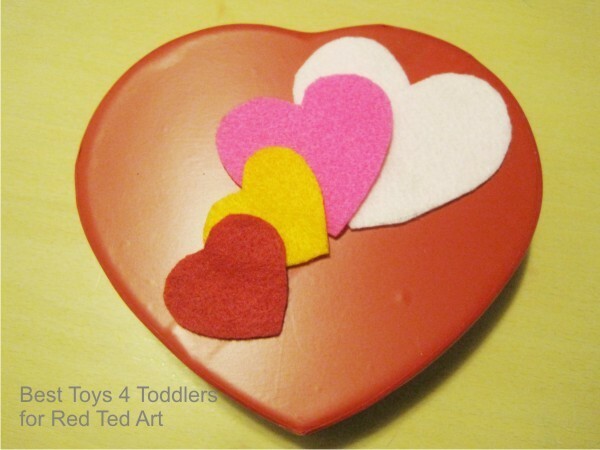 We used these heart templates from Kiddy House. Cut at least 5 – 6 of each size. 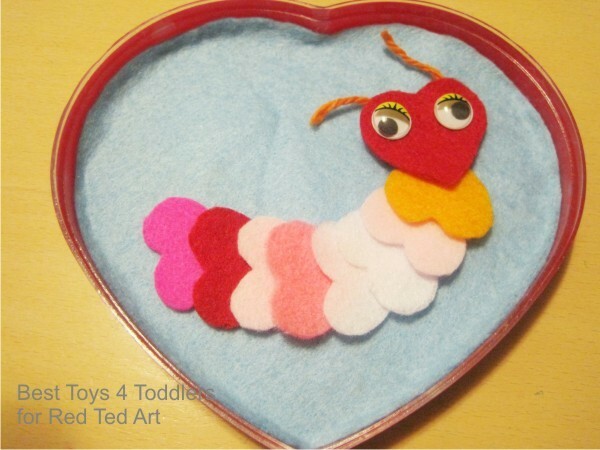 To finish, add several googly eyes and pieces of yarn and pack it all inside you Mini Heart Shaped Felt Board. Kids are all ready to go and make awesome creations! 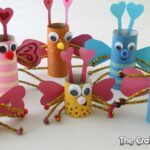 We also used all the items from this felt board for creative love bugs sticky play and kids loved it! 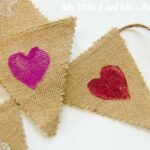 Once you cut felt hearts, you will always find more ways to play with it! Awww – so cute! I might get my littles to make this for their daddy. These are sooo cute!! 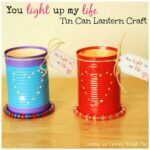 Will do these with my little girl.